"This piece was developed by IZHMASH from a sports rifle Record-CISM. SV-98 is currently used in many Russian anti-terrorist forces. This high performance SR can hit a target within a spread radius of 5cm at 300M range." 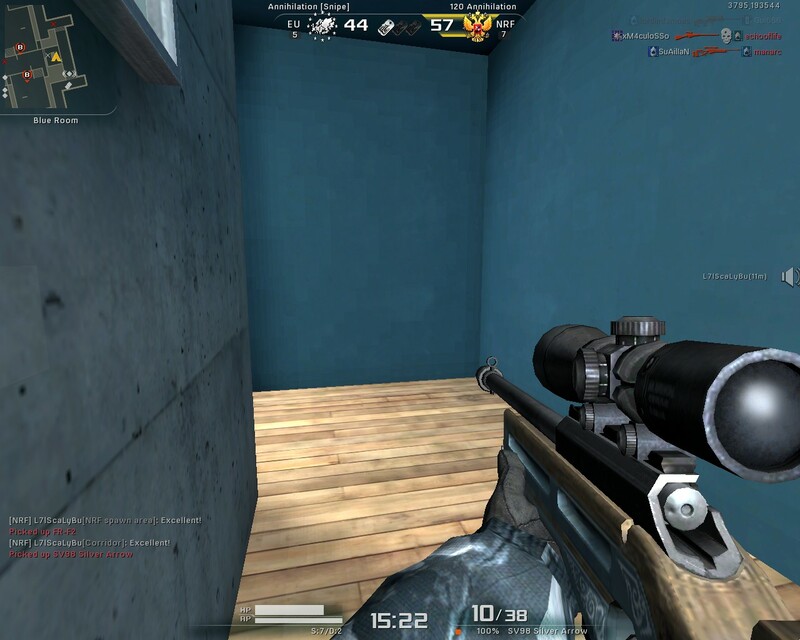 The SV98 is a sniper rifle. 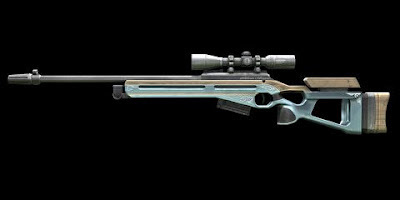 An expendable SV98 is given to the player upon completion of the tutorial. It is popular due to its high damage as well as its relatively high rate of fire (compared to that of the TPG-1). 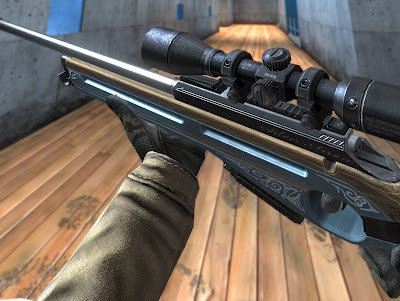 Although some users complain that its one-hit kills are much rarer than with that of the TPG-1, it is nevertheless a versatile weapon that is quick to draw out, aim, and fire. It can be modified to have an even higher chance of killing in one hit, adding an extra +5 damage to make the overall damage 95. If one aims at the chest or higher of an enemy, it is more likely to become a one-hit kill. Nevertheless, the SV98 has an extremely tough time penetrating Armor, and makes it more unlikely in scoring a one-hit kill. Being of Ducky Rank, it is one of the few rentable weapons in ijji AvA, and is arguably the most recommended of all rentable sniper rifles.